If you have been following my Friday thoughts on make-up and skin care, you will know that I am having a mid-life crisis with Estee Lauder. Estee has been my make-up and fragrance mentor all of my adult life and of late, she seduced me into skin care as well. Estee is jumping on the overtly young and hip bandwagon, leaving some of us classic beauty folk in old compact dust. And yet, what is a 58 year old lover of all things Estee to do? Thus, I have philandered, seeking new life in previously untried brands (which I have blogged about this summer) meeting with various degrees of success. What keeps me crawling back to Estee, however, is the eye shadows. Plain and simple, the best damn eye shadow in town. My latest foray into this smoky world is the Pure Envy Singles. They have all the requirements of my love for Estee–beautiful, a good range of tones, smooth, non-irritating and long-lasting. Not only does this product have staying power but seems to get better as the day goes on. 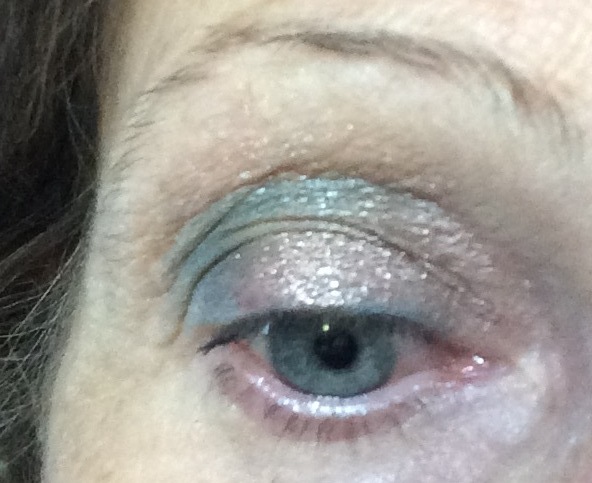 I purchased Hyper Teal–marketed as a Luminous shade–and Magnetic Rose–a Brilliant finish. I have casually brushed them on my eyes for you to see–class, not crass–and that is why I love Estee so!